Levi’s® and Jordan Brand are together again, fusing the signature Air Jordan style with the Levi’s® Trucker Jacket. 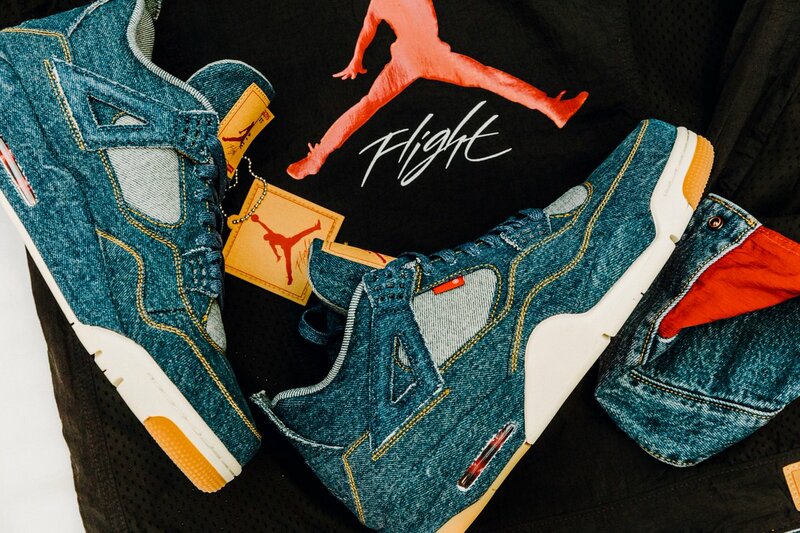 Two icons of sport and style re-imagine their roots by combining the beauty of the Air Jordan IV with Levi’s® authentic heritage. 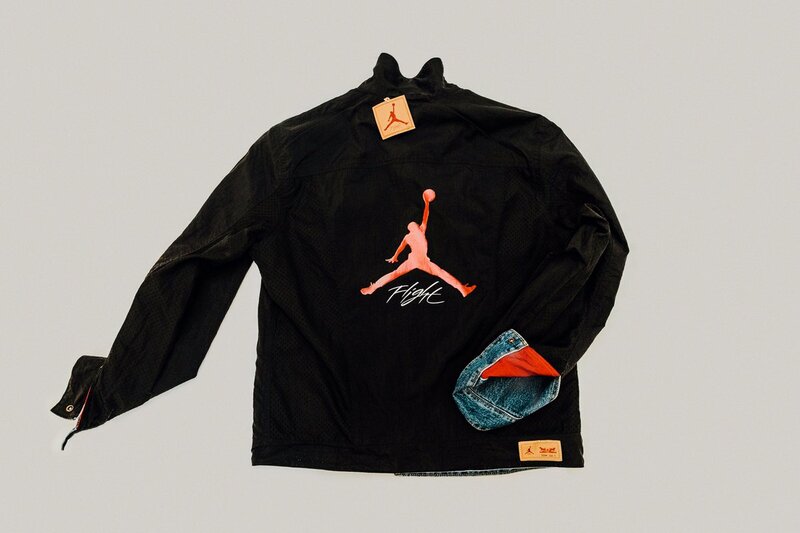 Launching January 17, 2018, the collaboration consists of the Jordan x Levi’s® Air Jordan IV and Jordan Reversible Trucker Jacket. 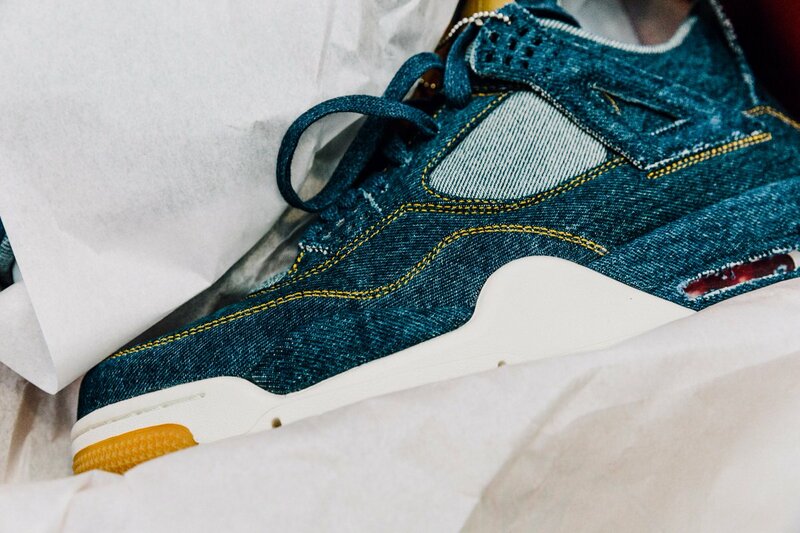 Carefully balancing the DNA of each brand, authentic denim material brings the Trucker Jacket to life on the Air Jordan IV with a standard wash prominent on the outer and reverse denim material on the sock liner and insole. 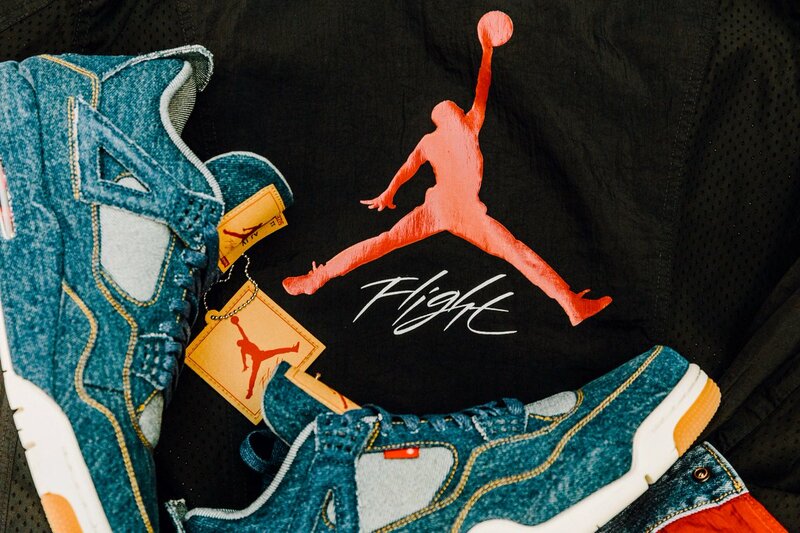 The globally recognized Levi’s® “Two Horse” tag has been remixed to include the iconic Jumpman logo and is featured on both tongues and the hangtag. 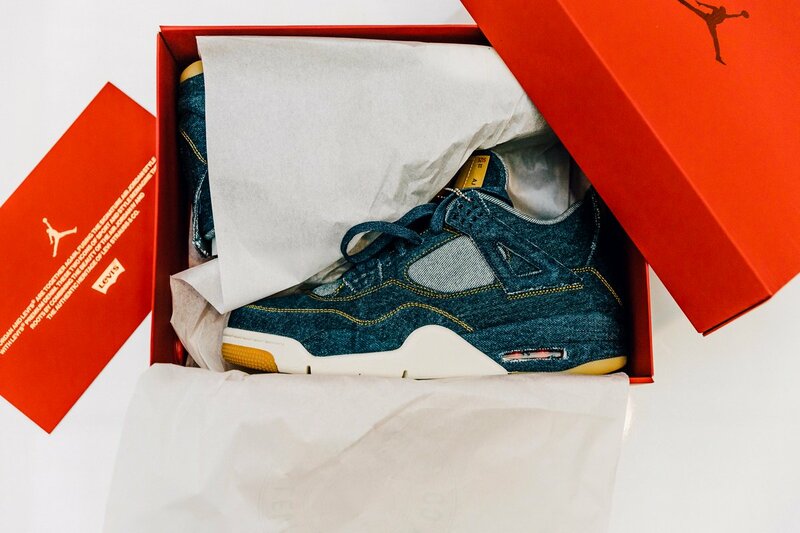 Finishing touches include gum details on the outsole, gold stitching, denim-colored laces and the standard Levi’s® Red Tab. Continuing to honor Jordan Brand and Levi’s® style and soul, the Jordan Reversible Trucker Jacket cues from both staple pieces to complete the capsule. 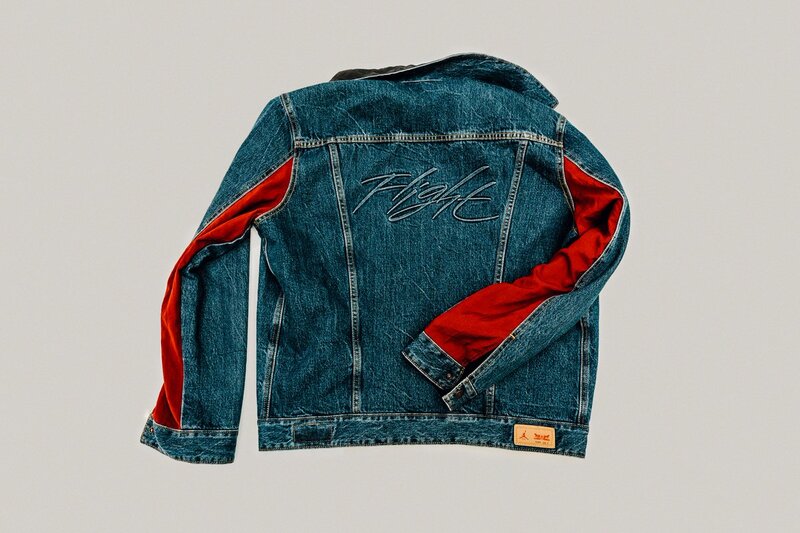 This piece is highlighted by classic Levi’s® Trucker Jacket craftsmanship and quality, Flight Suit inspired wings details and standard Levi’s® and Jordan branding throughout. The Jordan Reversible Trucker Jacket combines our iconic denim Trucker with the crinkle taffeta of the classic Jordan warm-up suit. Worn denim out, red taffeta is stitched into underarm panels for a peek-a-boo flash of color. Meanwhile, the back is adorned with a lightly distressed, silicone raised Flight logo. Reverse it out and you’ve got a perforated, black, crinkle taffeta jacket with a denim accented collar and the Jumpman Flight logo emblazoned on the back. Customized in all details, the dark-copper shank buttons are co-branded along with the paper patch on the back hem and attached tag. Based on the legendary Jordan IVs, these prewashed, indigo beauties take advantage of warp and weft threading to give the dark-to-light contrast of classic dark denim with a light cuff. A signature Jumpman logo leather patch hangs over the laces. 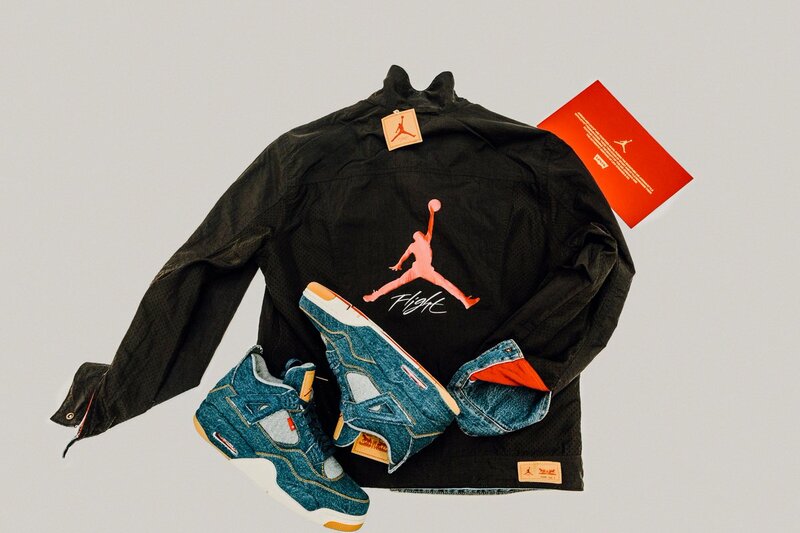 Like Levi’s® denim products, the Air Jordan IV and Trucker Jacket are designed to be worn in, lived in and aged to make them your own. 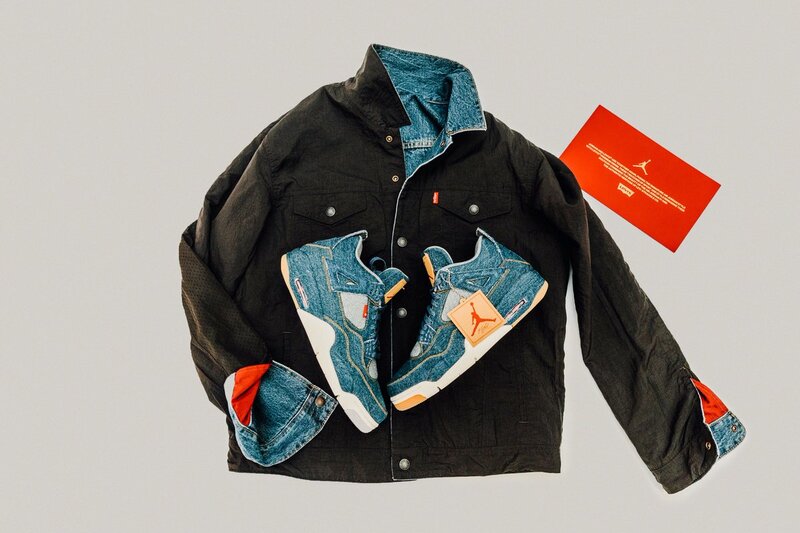 The Jordan x Levi’s® Air Jordan IV and Jordan Reversible Trucker Jacket release on January 17, 2018. 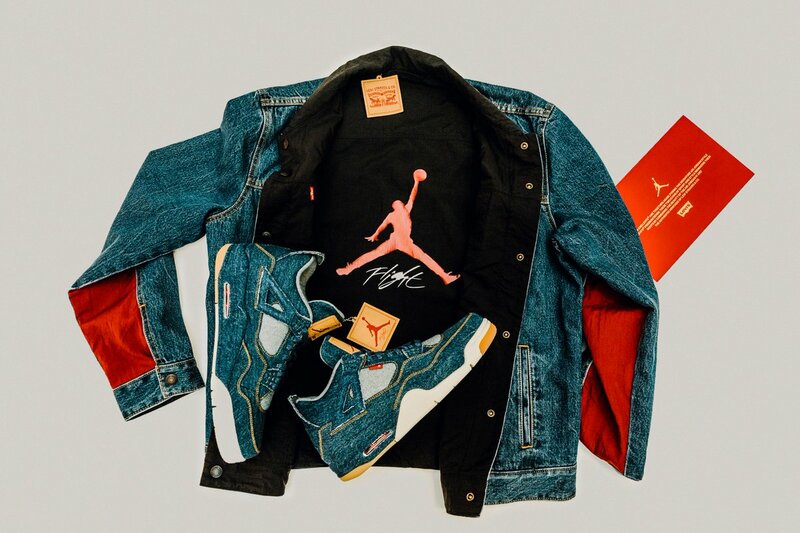 Levi’s® San Francisco Market Street and New York SoHo locations will be carrying both the Jordan Reversible Trucker Jacket and the Air Jordan IV. Levi’s® San Francisco HQ Plaza, Michigan Ave Chicago, Las Vegas, Times Square NY, 34th Street NY, Meatpacking NY and Yorkdale Ontario will be carrying only the Jordan Reversible Trucker Jacket. 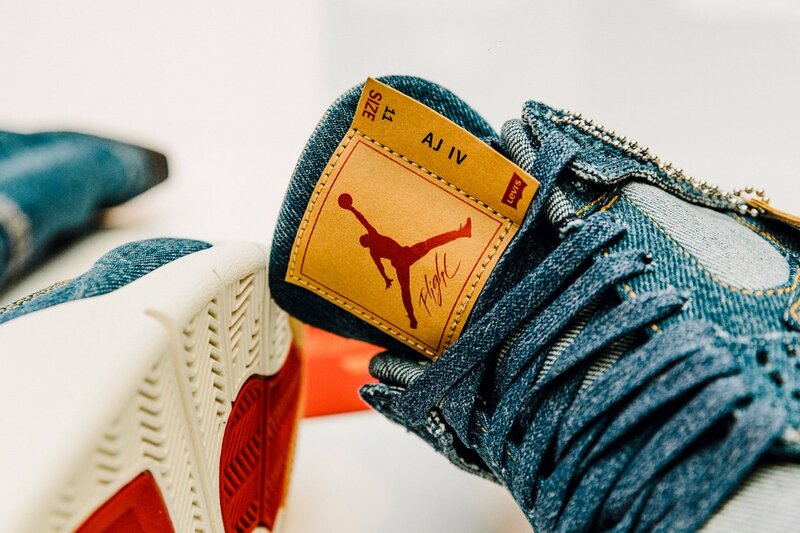 Worldwide, Levi’s® retail stores in Paris, Berlin, London, Shanghai, Osaka and Harajuku (Tokyo) will carry both the Jordan Reversible Trucker Jacket and the Air Jordan IV. The Levi’s® brand epitomizes classic American style and effortless cool. Since their invention by Levi Strauss & Co. in 1873, Levi’s® jeans have become one of the most recognizable garments of clothing in the world – capturing the imagination and loyalty of people for generations. Today, the Levi’s® brand portfolio continues to evolve through a relentless pioneering and innovative spirit that is unparalleled in the apparel industry. Our range of leading jeanswear and accessories are available in more than 110 countries, allowing individuals around the world to express their personal style. For more information about the Levi’s® brand, its products and stores, please visit levi.com.